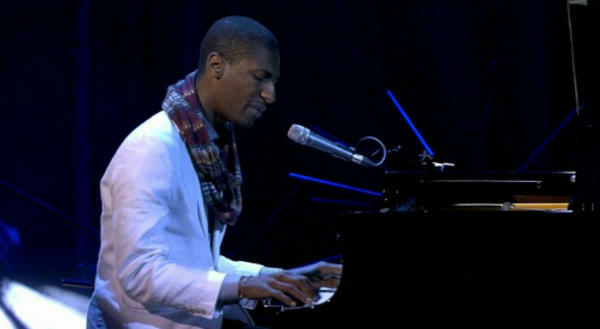 The day started with a beautiful performance by by Jonathan Batiste (@JonBatiste), a rendition of "St. James Infirmary". We then jumped rigth in the center of the session's theme, globality, with words by Pankaj Ghemawat (@PankajGhemawat). We seem to either think that globalisation is done, and the world is flat (see Thomas Friedman), or that globalisation is done and the world is run by corporations and banks (see Naomi Klein). Pankaj Ghemawat thinks that neither is true ; that the world we live in isn't as "gloablized" as people seem to think. How many Facebook users have friends in other countries ? How much of the US' budget is spent on foreign aid ? Most people think that those numbers are around 30%, when in reality they are less than 10%. We're not an open world yet, but even incremental openness is great. He was followed by the author Robert Neuwirth (@RobertNeuwirth), who has studied what he calls the "system D", or informal, worlds economy. In his words, there's nothing hidden, or underground, about the informal economy. 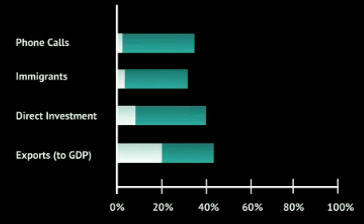 It is the second larger economy in the world, and is more egalitarian than the rest, the "luxury economy". Procter & Gamble, for instance, sell 15% to wallmart, but 20% in informal stores. Piracy is often cited as an underground economy. Yet in some places, luxury brand can use piracy as a form of market research : am I being pirated ? What products are the most copied ? Also, let's not forget that people who buy pirated luxury goods aren't the brand's customers ; they would not buy a real handbag or perfume. The next topic, presented by Andreas Schleicher (@SchleicherEDU), was education. Andreas created PISA, a test given worldwide to measure students' preparedness to today's world. Since the 1960s, the USA dropped from the first place in education, to the 13th place it occupies today. PISA is a great way to measure the effectivness of educative systems accross the globe, where money spent does not equal great results. Some countries even spend a lot and have poor results (oops, France is there). This sort of comparaison allows educators to find out what works and what doesn't in education reforms, an indespensible tool. His talk was followed by the beautiful Russian pianist Natasha Paremski (@NatashaParemski). 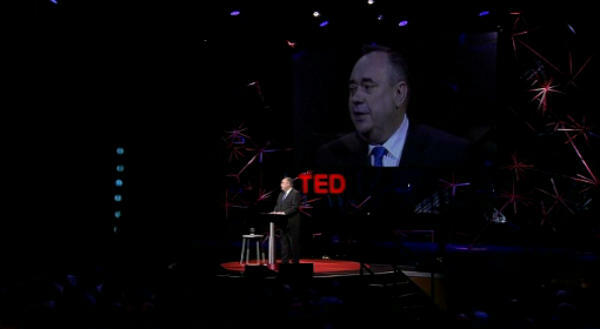 Alex Salmond, the first minister of Scotland (@AlexSalmond), came on stage to close the session. In this increasingly global world, what is the place for small countries, such as Scotland ? Salmond made the point that small countries are only limited by the scale of their ambitions ( ). They are more agile, more resistant in times of crisis. This is session is all about the depressing, sad and sometimes scary concequences of openness. Malte Spitz (@maltespitz) is a politician and "data activist". He asked his mobile phone provider, Deutsche Telekom, for the data they had gathered on him. After a long legal battle, he finally got that data, all 35,485 lines of it, and decided to make it public. That much information on every mobile phone owner is scary ; today any totalitarian government can survey its citizen with ease. They can model social networks, find out who the leaders are, all without having to inflitrate any organisations. If you are in Europe, try asking for your data from the phone company, it should be an intersting journey. Keeping with the tone of the session, the public intellectual Ivan Krastev gave a very intersting speech about the drawbacks of democracy and transparancy. People all over the world are loosing faith in their democratic institutions ; they feel that they can change the government, but not policies. Electoral turnout is in decline. The citizens with the most to gain from voting are starting to vote with blank ballot, and governments do not know how to respond to that. Also, it seems that more democracy means more inequalities. What's the solution ? A more connected world ? Most social networks users keep in touch only with people like themselves. 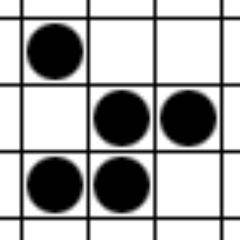 Transparancy ? While it does make it less likely that politicians will lie, steal or even kill, but it just mistrust management. And when everything you do and say is recorded and analysed, politicians are scared to evolve their point of view. The consequence is that decent, talented people will not go into politics. That talk was extremly thought provocking ! Gerard Senehi came up next, to give a performance as a mentalist. With six volonteers, Senehi showed some "mind reading" and some "telekinesis". As any good magician, he did not reveal his tricks :). The following talk was one of my favorites : Gabriella Coleman (@BiellaColeman), a "digital anthropologist", has been studying the group Anonymous for three years, and came on stage to give her findings. Anonymous is a very strange group. It is composed of hackers and geeks on the Internet, but it has no leadership, and is participatory : You can become part of Anonymous, all you need to do is to decide so. Anonymous started as a force of trolling (pranking, trickery, deceit, defilement) on the web, especially on the image board 4chan.org (link not safe for work), where they already used to give themselves grandiose names, such as "The last boss of the Internet". In 2007 Fox News called them "The Internet Hate Machine", a name that they immediatly absorbed as their own, of course. Things change a few month after that Fox News clip, when a video from the sect of scientology comes online and immediatly becomes viral. The "church" sends lawyer to intimidate everyone into removing the video, but Anonymous rises and starts mass pranks on scientology, or, as one member puts it, "Ultra coordinated motherfuckery". A group calling themselves Anonymous then realised a video, a threat of retaliation against the sect. Today, Anonymous is still trolling, but they have taken up causes to support : the Quebec student protests, the fight against scientology, Wikileaks… They are irreverant, destructive and vindictive ; they have a profound distaste for the law and decorum, they are activists with a transgressive twist. And they still claim that they act solely "for the lulz", for their own enjoyement. The fascinating thing is that without any specific leaders, specific targets are choosen and attacked relentlessly. Some members use hacks to disrupt websites, while some choose to do more classic pranks, like ordering unpaid pizzas to their target's offices. But it's not just geeks and hackers : some write manifestos, create videos and posters that Anonymous is famous for. A lot of members like to create misinformation, claiming hacks they didn't do, boasting some attacks while being discreet about others. It sometimes seems that Anonymous is the Intenet trying to defend itself, its values, like free speech and privacy. The Internet judges individuals and corporations, and sometimes strikes. They are other ways to protect those values, like writing open source software or joining the Pirate Party. 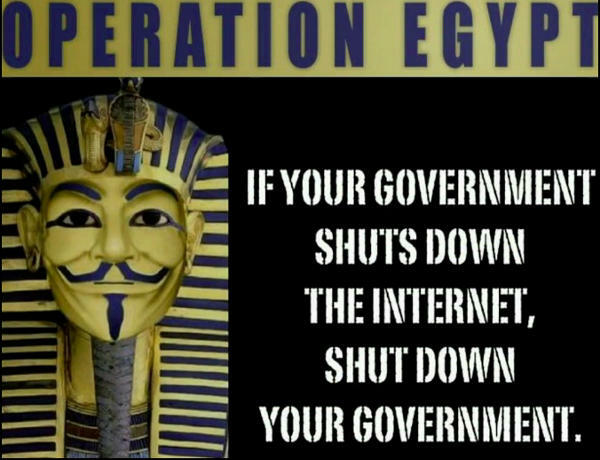 But Anonymous is here to stay, as the army of the Internet. Still, it has a bad reputation, as its members will exploit any weakness in their target's armor, sometimes publishing real world addresses or social security numbers. It's hard to tell if Anonymous is a moral force, but what is sure is that today, "if you try to hurt the internet, the internet will hurt you back". The next talk was a short talk, by the TED fellow Walid Al-Saqaf, an anti-censorship activist. His father's newspaper, Yemen Times, was exposing corruption and was threaten, just like Walid's website, with the same objective of ending corruption. 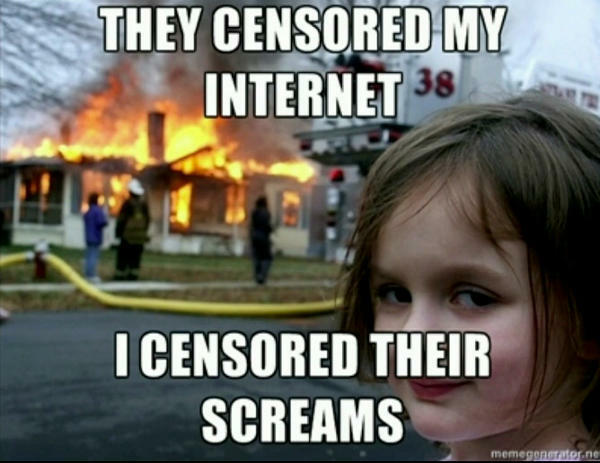 He has created a piece of software to circumvent Internet censorship, a tool that has been used during the Arab Spring. His tool is, surprisingly, mainly used to access… Facebook and other social networks ! Next came the journalist Leslie T. Chang (@LeslieTChang), with a fascinating talk about China. The standard view on China is that their factories are horrible sweatshops, were employees are not much more than slaves, working to create our Ipads and Iphones. This comes with a strong feeling of guilt in the West, but it is very condescending to the chinese workers, whose voices are never part of the debate. China builds for the whole world, not just the US and Europe ; and they are not forced to work. In interviews with chinese workers, living conditions never come up, as everyone they know lives that way, or worse. Yes, factory conditions in China are tough. But the workers come from poorer villages, and they do move up socially. The session closed after a talk by Neil Harbisson (@NeilHarbisson), a self described "cyborg". He is totally color-blind, however since 2003 he has been fitted with a camera that turns colors into sounds. For eight years now, he can "hear" colors through bone vibrations, his brain now understand colors, and he even dreams in colors (wow). His device has become part of his body, of his image. Like a synesthete, he can now listen to a Picasso, and dress according to they way his clothes sound. He is also an artist, and paints music and voices. While he could now "see" 360 degrees of color, he wanted more (wait, what ?). His camera isn't limited to the visible spectrum, so he added infrared and ultra violet to his field of vision. He is now able to "see" remote detectors, UV rays. Neil Harbisson incourages us to try expanding our senses, which allows more knowledge. This session was all about the human brain, how it works and how sometimes it "misbehaves", plus performances by some very creative individuals. The session was guest hosted by a neuroscientist, Sarah Caddick. The first speaker was Read Montague, a behavioral neuroscientist, meaning that he studies how people's brains interact with one another. Today, thanks to functional MRIs, we can see without harm what goes on inside people's heads, we can study healthy brains and not wait for autopsies of sick patients. He uses a new piece of software, capable of synchronizing multiple FMRI machines, over the Internet. This allows him to see how one brain's activity can create activity in another brain, during games between individuals. We can even compare a healthy mind with a sick brain. 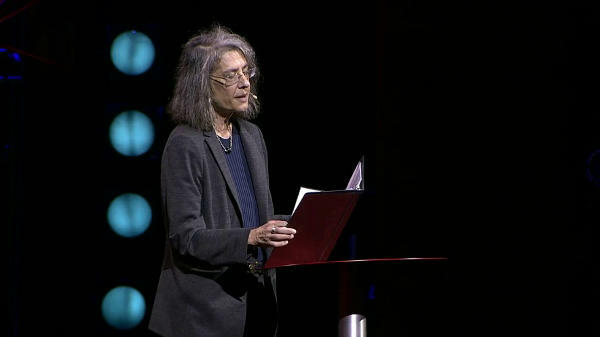 Elyn Saks, a mental health law scholar, suffers from severe psychosis, and schizophrenic delusions and hallucinations. She has been institutionalised, but has been able to live an almost normal, even successful, life. Her experiences made her pro-psychiatry, but a strong opponent of the use of force to restrain mental health patients, as it humiliates, scares, and even causes deaths. We need to start realizing that they aren't schizophrenics, but people with schizophrenia, and that we need to stop putting people who are sick in jails. 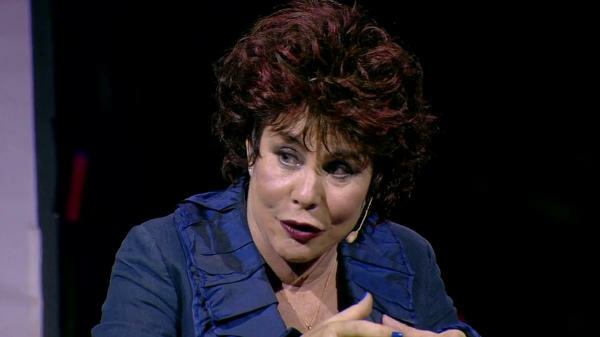 She was followed on stage by another sufferer of mental disease, the comedian Ruby Wax (@RubyWax). She suffers from a grave depression, and got institutionlized a couple of time. In her experience, depression is a very misunderstood disease, and one for which you get almost no sympathy, and feel a great sense of shame. In her very fun talk, she mentioned some aspects of depression, and encouraged us to be more supportive of people suffering from it. 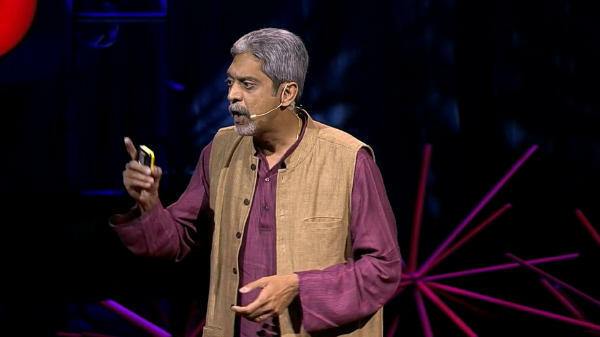 Both women have been able to receive good care in the US, but in the rest of the world the picture is quite different, as Vikram Patel (@MGMentalHealth) explained next. Visiting India & Zimbabwe, he was shocked to discover a world without mental health professionals. He has tried teaching lay concelors some basic mental health care, just as we can train important people in poor villages some knowledge of healthcare, which gives a tremendous boost to the quality of life of people living where there is no doctor. 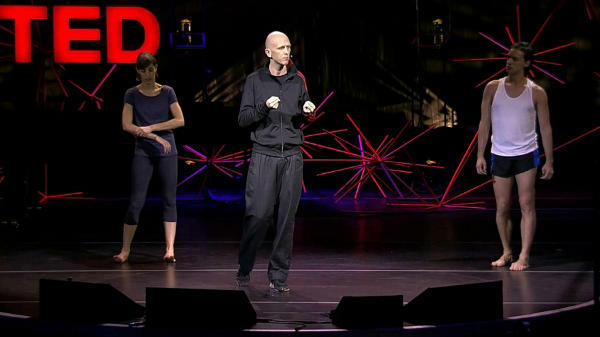 After that, we got a glimpse into the creative process of a dancer and choreographer, Wayne McGregor (@WayneMcGregor). Live on stage, he was able to create a choreography, and two dancers were able to perform it right away, showing an amazing kinetic memory. The pianist Natasha Paremski (@NatashaParemski) came back on stage to perform another beautiful piano piece, followed by the last talk of the session, by Robert Legato, a visual effects "guru", who has worked on many feature films and has won two Oscars. Back to sad talks with session 7, opening with a scary discution on global warming, by Vicki Arroyo (@Climate_Center). Is this our future ? The climate causing conflicts, such as Darfur or Chad ? According to vicky Arroyo, "We're on our way to an ice-free planet", and we need to adapt, to learn how to survive hurricanes, heat waves, and rising sea levels. On a more positive note, Jonathan Trent came on stage to present what he has been working on at NASA, the OMEGA project. 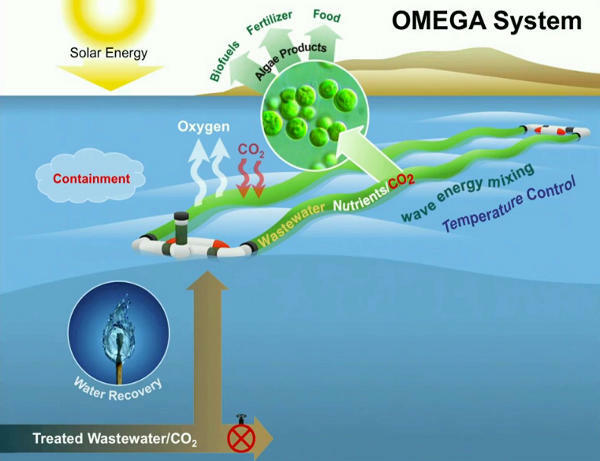 Using microscoping algae, his team is trying to create huge algae "farms" on the sea, which can filter waste water and be used to feed animals. More information on the project is available at nasa.gov. The following speaker also had a plan to fight global warming, a new kind of wind turbine to harness wind energy. His system is far more silent and effective than traditional three-blade turbines. Check out his concept at saphonenergy.com. Another neuroscientist, Sarah-Jayne Blakemore (@SJBlakemore), came up next, to talk about the brain developement of teenagers. Her research shows that teen are less capable, compared to adults, of imagining what someone else is thinking, and that they are much more prone to risk taking. The second to last speaker was a talk about another long term goal, the use of stem cells in research. Stem cells are able to differentiate and transform into any type of cell in a body, which offers incredible possibilities in the treatment of illnesses. Susan Solomon (@nyscf) showed various applications for this research, including a new way of studying diseases, in petri dishes, allowing researchers to see how a specific illness operates, way before any symptoms would be visible in a human patient. The session, and the day, ended with a great performance by Usman Riaz (@usmanriaz1990) and Preston Reed (@PrestonReed), both "percussive guitarists".